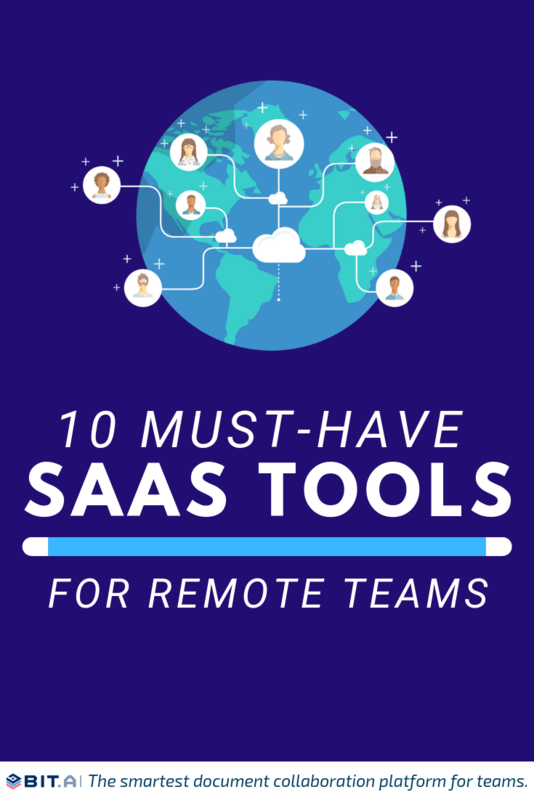 Looking for awesome SaaS tools for your remote team? We got you covered! Thanks to the culture of remote working and telecommuting, the days of sitting in your office cubicle eight hours a day are slowly disappearing. Today’s technology, tools, and apps have given birth to this always connected, instant access environment. Our tools have significantly blurred the lines between the physical office and the place where work actually happens! Your workplace is wherever you sit down. At the coffee house, in the comfort of your home, or at a co-working space. The place where people work has essentially become non-stationary. Around 3.3 million Americans say that they work from home. Not only that, but it’s now possible for people to work on a collaborative project from anywhere in the world and it’s increasingly becoming the norm. This allows managers to hire the best minds they can to work on a particular project from anywhere in the world. The quality of talent companies can hire is not limited to a zip code! It helps minimize office finances like rent, stationery, utilities etc. It helps saves commute time for employees, which result in higher productivity. It reduces the need for unnecessary office meetings, water-cooler talks, and office politics. This rise in remote working has been possibly due to the increased acceptance of a digital working environment that allows employees to work from anywhere they want. According to a 2016 survey of American remote workers, about 91 percent of people who work from home feel that they’re more productive than when they’re in an office. A ConnectSolutions study also found that 77 percent of remote workers get more done in fewer hours thanks to fewer distractions like meetings, conversations, and noisy coworkers. The stats prove it. Remote workers tend to be more productive and businesses end up enjoying better returns! With all the benefits that the employer and the employee enjoy communication, coordination across distributed teams is extremely important. Businesses need to have a clear strategy and the right tools to support a remote working environment. The strategy part is for you to decide based on your unique business needs, but for the tools, we got you covered! 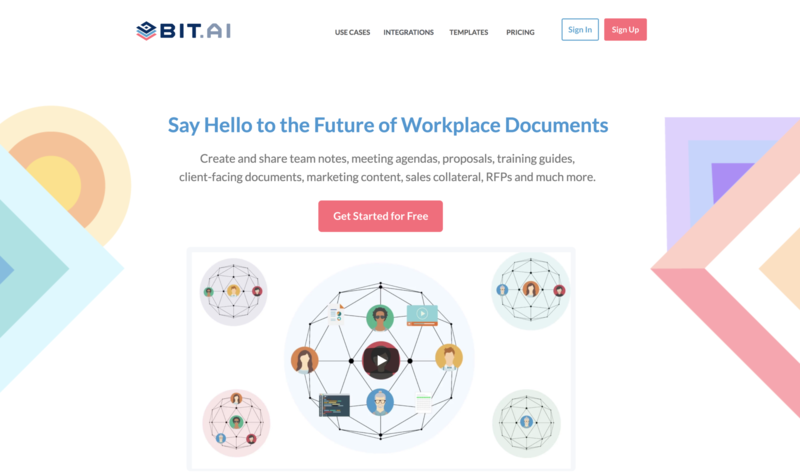 The first one on the list is Bit, new-age document management and collaboration tool that helps teams to collaborate, share, track and manage all company documents, files, and other content in one place. Bit is the ultimate SaaS tool for remote teams as it brings all your company documentation, media files, and knowledge under one smart roof. Documents can go from personal notes, to team research, to coordinated documents and client-facing material that can be shared and track to get intelligent engagement insights. Bit’s real-time collaboration feature makes it easy for teams to be under one virtual roof, provide their feedback and suggestions, add comments, and discuss work together in a cohesive group. Want to know what your remote employees are working on in a single glance? Trello is the tool for you. One of the most recognized Saas tools on the market, Trello is a fun and interactive project management tool that lets you organize your work and tasks into visual boards. You can then add tasks or cards to these projects, assign due dates, add descriptions, attach assets, create checklists, make labels and assign tasks to fellow team members. Trello offers kanban style boards that you can drag and drop your task cards around as you organize your workflow. Trello’s user-friendly interface makes it a breeze for anyone in your team to get up and running with the tool quickly. Slack allows teams to create chat groups called ‘channels’ for transparent, open communication. In a short amount of time, Slack has gained significant popularity with over 35,000+ paid companies like IBM and Airbnb. 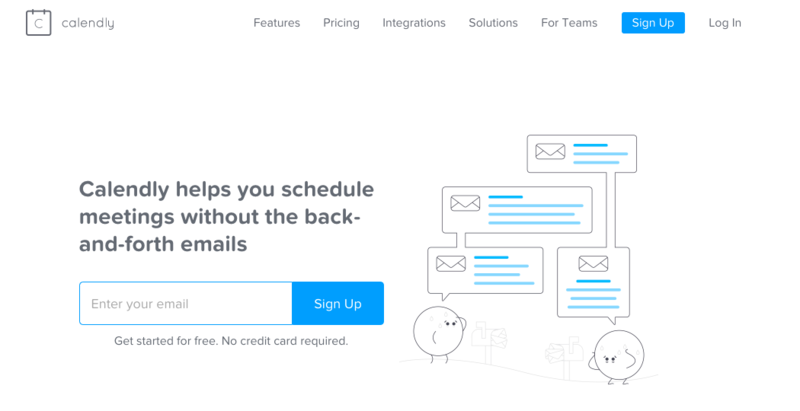 Perfect for anyone managing a team of remote employees, this Saas tool’s easy to use, intuitive design makes communication fun and efficient and might just cure your email troubles for good. Slack integrates with nearly every third-party apps and makes file sharing a breeze. Slack offers apps for iOS and Android to keep the communication going wherever you go. This is a big one. Since your remote workers might be working from a cafe and using public wifi, it increases the risk of compromising sensitive company information. Encrypt.me secures everything you do on your laptop, smartphone, and tablet. Whether you’re browsing the web or using apps, Encrypt.me keeps you safe. Under the hood, Encrypt.me establishes something called a Virtual Private Network (VPN). In essence, VPNs provide a layer of protection between your device and the internet. They allow you to secure your connection to an untrusted network, regardless of who else may share access to it. The fact that it automatically activates whenever you are in a public Wi-Fi makes Encrypt.me, a must have SaaS tool for remote teams. Another amazing saas tool for remote teams, Typeform is an amazing drag-and-drop tool used to create beautiful looking, engaging, and conversational online forms, surveys, quizzes, landing pages and order forms easily. There are many survey tools available on the market, but Typeform is clearly one of our favorites, thanks to its modern design, flexibility, and ease of use. Users can make their questions more engaging by using images, GIFS, and video. You can see every change you make in real-time with Typeform’s live preview. Typeform provides detailed analytics of your survey or any other form and even let you export the results if you want. Users can also embed their type forms into their website, blog, or landing page. Whether you want to conduct an online meeting, video webinar, or just need to share screens with your IT team, Zoom is the tool for you. A perfect saas tool for remote teams, Zoom’s free account option lets you share screens with up to 25 participants and host an unlimited amount of meetings. However, each meeting can be only 40 minutes long. Apart from screen sharing, Zoom also provides cross-platform messaging and file sharing, which can be a welcome addition to simple screen sharing. Zoom video communications were named a 2018 Gartner Peer Insights Customers’ choice for meeting solutions. Sometimes sending an email or a Slack message isn’t enough. If you and your team need to be face-to-face frequently, you need to take a look at Loom. Loom is trying to be a new kind of work communication tool that helps you get your message across through instantly shareable videos. Loom lets you record videos for any business purposes- whether you want to record a detailed video response to an email, share a video response to a customer question, embed video tutorials on your website, share quick videos on social media, etc. Designing can be tough for remote teams. Constantly sharing feedback via chat or video chat, sending new versions of the design file via email, and getting approvals can quickly turn into an uphill battle. Not if you use a design collaboration tool like Figma! Figma is a cloud-based design tool that allows team members to quickly design, prototype, and gather feedback all in one place. Figma is the first interface design tool based in the browser, making it easier for teams to create software. It stores all your design files in one place to avoid confusions regarding versions. Users can create designs on their PC and then mirror designs to mobile with a live device preview feature. They can even interact with prototypes on mobile for more reliable user testing. Figma reduces friction between various departments by allowing users to share live prototypes with different teams – Engineers can inspect, export, and copy CSS, iOS, and Android code while marketers edit the copy. It’s a great tool to design, prototype, and launch your products from start to finish. Trouble scheduling a meeting or video conference with different team members? This can be even more aggravating if you have team members living in different time zones! Calendly aims to solve this problem by helping you schedule meetings effectively. Just let Calendly know your availability preferences and it’ll do the work for you. Once you have created your calendar, You can share your Calendly link via email or embed it on your website. Calendly makes it super easy to book meetings by getting rid of the endless back and forth via email to find a convenient time. As far as good SaaS tools go, Calendly is a must have. Set buffer times between meetings, prevent last-minute meetings, create secret event types. Remote working has enough going on for it. The advantages easily overshadow the limitations, making remote work, the future of workplace. However, having the right SaaS tools at your disposal is the one thing that can make or break your remote setup. Choose your tools wisely!